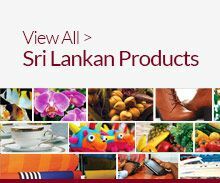 Looking for the processed fruit and vegetable exports from Sri Lanka? Sri Lanka is blessed with natural resources and climatic conditions from temperate, to tropical to sub tropical, suitable for the growing of a wide range of fruits and vegetables. 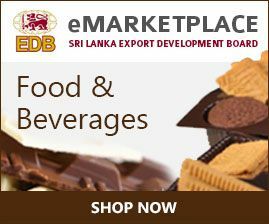 Processed fruit manufacturers & suppliers in Sri Lanka offer fruit in pieces, pulp, juice, preserves, and dehydrated form. These products still have the flavours and textures unique to no other. Packaged attractively in cans, bottles, pouches and cartons for the retail market, they are also offered in bulk form for the food connoisseurs, hoteliers and others in the food trade. Frozen/chilled forms are also marketed for the markets in nearby regions. The most popular varieties of fruits that are processed are pineapple, mango, papaya, melons, guavas; they are within the top ten processed forms with other seasonal fruits such as rambuttan, mangosteen etc. showing an increasing trend. Processed coconut, as milk, cream and powder and desiccated forms are also available for the food industry adding value to the traditional export commodity of fresh coconut. Utilising modern technology to preserve taste, colour, texture, aroma and vitamins, products like dehydrated pineapple, mango and papaya are some of the popular varieties produced and exported to the UK, USA, Australia, Spain and the Maldives. Processed foods are also enjoyed by consumers worldwide in the form of tropical fruit dessert supplements and in instant soup and rice mixes. It is a little known fact that Sri Lankan gherkins are used to make the world famous McDonalds burgers. Gherkins preserved in brine and vinegar are high demand products worldwide; Japan is the largest market for Sri Lankan gherkins followed by Australia, the Netherlands and Thailand. These value-added gherkins are bottled and exported to international fast food chains, restaurants, hotels and supermarkets. Export quality vegetables are carefully selected and frozen without any preservatives or food additives. Processed vegetable manufacturers & suppliers in Sri Lanka export local favourites such as okra, drum sticks, manioc and young jack which have gained a permanent place of culinary interest in the Middle East and France. Sri Lanka's unique tropical flavours have gained recognition the world over. 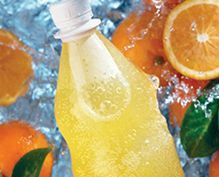 Sri Lankan fruit juice manufacturers & suppliers export fruit juices extracted from passion fruit, papaya and pineapple that show great potential to take over the hearts and taste buds of consumers worldwide. Delicious canned fruit juices are exported in glass jars and in tins. Pineapple juice in light syrup, sliced pineapples, pieces, chunks and mixed fruits are shared with the world. Their customary packaging, labelling and presentation are recognised around the world. Processed vegetables are offered in chilled or frozen forms and are destined to the ethnic communities in Europe, Middle East, Australia, New Zealand and others. Brined and dehydrated forms are also exported. Sri Lankan gherkins-in-brine are used in a popular multinational food chain for their fast food preparations. Tomato Paste and purees is another popular export item used by the food industry.